I was surprised by how much I enjoyed The Hunger Games, Gary Ross’s film of the first novel in Suzanne Collins’s very popular trilogy. While the film misses the opportunity of saying anything particularly biting in its portrayal of a future in which a group of children fight to the death for a kind of twisted “reality” show for tv (and indeed the prospect of that actually happening within my lifetime seems frighteningly real), it’s still a really well-made film in most respects and its young cast does well – it’s no surprise that it’s performed so spectacularly well at the box office. Ross is reportedly not returning for the sequel, which is a shame, but I look forward to it nonetheless. Danny Elfman was originally hired to provide the score, in conjunction with Music Supervisor T-Bone Burnett. 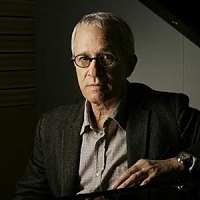 A possibly euphemistic “scheduling conflict” led to his departure and James Newton Howard came on board at the last minute. His music doesn’t have much of a role to play in the film – many of the key moments are “scored” with needledrops, when his score is used (much was entirely discarded) it is usually very low in the mix, and the score’s most significant contribution to the film is actually an adaptation by Howard of a piece written for the film by Arcade Fire, who worked on some sequences with Burnett. Still, it is a different matter entirely on the score album, which includes a couple of cues dropped from the film, and where of course Howard’s music can actually be heard properly. The opening sequences – the main title and “Katniss Afoot” – reveal a surprisingly folk-inspired approach, echoing the forest locations, and it’s pleasant stuff. The album’s centrepiece is the pair of cues “Preparing the Chariots” and “Horn of Plenty”, the latter being the Arcade Fire tune. It’s not exactly Miklós Rózsa, but I guess it’s the 2012 equivalent of Ben-Hur‘s “Parade of the Charioteers” – it sounds a bit cheap and synthy, but still manages to be a dynamic piece of music and it’s a memorable melody. Some fairly low-key action music follows – “Penthouse / Training” and “Learning the Skills” are cut from the same cloth as something like the horrendous Green Lantern, but don’t let that alarm you – this time Howard manages to inject real dramatic momentum, the electronic and real percussion being used to drive things forward very effectively. A love theme of sorts is introduced in “Healing Katniss” – it has a real earthy quality and is most appealing in its non-traditional approach. The score’s most powerful dramatic moment follows, “Rue’s Farewell”, Howard letting his full orchestra off the leash for the first time for a sweeping piece of tragedy. Speaking of leashes, the only piece of all-out action music is the penultimate track, “Muttations”, written for a sequence in which the protagonists are hunted by mutant dogs. It’s thrilling stuff, with the distinctive James Newton Howard sound. There are mixed emotions in the finale, “Tenuous Winners / Returning Home”, the overwhelming feeling being one of relief, but there’s real beauty in the music too. I have seen the film. The score has pretty much zero impact. You can’t even tell it’s there. I was surprised by how good the album is.